As I am writing this, I am sitting in a Starbucks on the Missouri/Kansas border. I am a little over halfway through my driving for the day. For the next week, I will be driving across the western half of the US making my way to Los Angeles. Outside of a previous trip to California and an airport layover, I am about as far west as I have ever been, and in a week, I will officially be a resident of the West Coast. I could not be more excited. The last week has been filled with visiting all of my favorite places in Saint Louis and spending time with my family and friends, which was really lovely. The next week will be filled with me traveling to places I have never seen, hopefully the great adventure I have been waiting for. This, of course, will be followed the real adventure, life in Los Angeles. I don’t have any profound thoughts at this moment, I am hoping the inspiring landscape of the West will do more for my introspection than the Mid-West has done. I cannot express how much I look forward to mountains and oceans and anything beyond prairie land as far as the eye can see. I will do my best to keep posting throughout my journey, wi-fi access providing. In about a little over a week, I will be leaving St. Louis and moving to the West Coast. So as a tribute to the city where I was born and raised, I asked around for everyone’s favorite local spots. Here is what we came up with. Food Truck Fridays: Every second Friday (May through October) in Tower Grove Park. Fritz’s Frozen Custard: Ted Drewes may be the King of Custard, but many locals prefer Fritz’s. Sugarfire Smokehouse: With daily rotating specials and chocolate chip cookies straight out of the smoker, this place will be greatly missed. Try the turkey, you will not regret it. And be sure to at least sample the coffee flavored barbecue sauce, even if you are not a coffee drinker. Coffee Cartel: Specifically suggested for the Gooey Butter Cake. Grant’s Farm: Don’t forget to get your two complimentary Budweiser beverages. The Saint Louis Zoo: A truly fantastic zoo and totally free to the public. For those of you native to St. Louis, that, in and of itself, is a rarity. Brommelsiek Park: A fantastic dog park with a pond complete with a little dock. 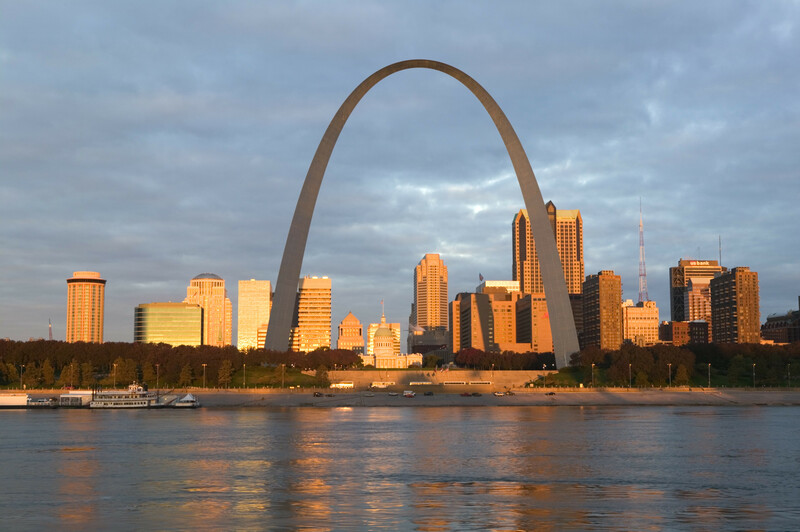 Forest Park: Home to some of the best attractions in the area, the park is a great place to spend time before a show at the Muny or after a trip to the Saint Louis Zoo. As you know there has been a lot going on around here. This week has been all about planning. Planning showers and parties and packing and travel, it’s been a little intense. Throughout the week, I have had several little, not even panic attacks, but bouts of stress. I will see something that I have not yet planned within an inch of its life, and I will become so anxious because of this tiny little detail I have not yet fully solved. Then I deal with that tiny little detail and realize that I probably could have waited a week on that one. Over time, I have learned that things always work out. Not always the way you plan, but for the most part, it all works out. Sometimes, you need hindsight to really see the truth in this, but it seems to be true thus far. Once you come out the other side, you realize, that was how it needed to happen. Here I am, at a major turning point in, not just my life, but a lot of lives around me. People are getting married, people are moving, people are having children. Things are changing. Some of these changes were planned, some were happy accidents. There are things in life you can plan for. And if there is planning that can be done, I will do it. Seriously, I have spreadsheets for everything. There is also a lot of life that cannot be planned. That doesn’t make it worse. That doesn’t really even make it more stressful. Sometimes the over planning is where the stress really stems from. I am moving to Los Angeles. A city that juxtaposes itself. On one hand, it is one of the largest and most populated cities in the country. Best known for its traffic, celebrity residents, and fish tacos. On the other hand, the natural landscape is amazing. It sits right on the ocean and is surrounded by mountains, which brings surfers, yogis, and holistic trendsetters. It gets easy to get caught up in the stress of life, making plans to make plans. I think we all just forget to breathe sometimes. I was in a yoga class last week and having a hard time with some pose I do not normally struggle with. Then I realized I hadn’t taken a breathe in close to 45 seconds. I was working so hard that I forgot to breathe. If you have ever taken a yoga class, you know that breathing is like 75 percent of it. If you are not breathing, you cannot accomplish anything. I think this is true in life on a greater scale as well. So when life starts to overwhelm you, try to remind yourself, things will fall into place. And don’t forget to breathe. When I initially started writing this blog, it was because I had so much spare time on my hands and lacked a creative outlet. I thought writing about my experiences would help fill a void in my life. The issue being that there was not much to write about. These days there is so much happening in my life, but no time to sit and write about it. Life is all about finding balance: busyness versus boredom, work versus a personal life, bingeing on Netflix versus doing anything else; but it seems like every time the scales start to even out, they start to tip the other direction. After almost a year and a half of too much time and too little to do, I have more to do than time to accomplish it. Despite feeling like I am barely trading water, this is where I find I am the most comfortable. Here is where I thrive. After two very long years, I feel like I am getting back to myself. In reality, it has probably been longer. The downtime was good for me, I know. It gave me a chance to break it all down and start rebuilding. Now, here we go. Onwards and upwards with a renewed sense of self. It has been about three months since I last posted anything. My instinct is to make excuses: tell you how busy I have been, blame all of the things that have happened in my life that might somehow justify my absence, go on about how I really need to take more time to do things for myself. But here is what really happened, I have not made this blog a priority. Other things in my life have taken precedence and that is ok. Rather than give you reasons why I have not been posting, I am just going to update you on what has been going on in my life since you last heard from me and let you know what you can expect now that I am back. First and foremost, my sister is getting married. She got engaged a little over a month ago and has been planning like crazy as she will be getting married in less than six months! As this is always at the front of my mind and a major topic of conversation within my family, you can probably expect to get some posts about wedding festivities, with her permission. The second major event that is coming very soon is that I am moving from Saint Louis to Los Angeles in just one month. I have wanted to move there my entire life and I cannot express enough how I excited I am that this is finally happening. Expect to hear not only about the changes, but about life in Los Angeles and what all that will bring. I have lived in the Midwest for a vast majority of my life with a brief stint in the South, so I am anticipating a bit of a culture shock in the realm of I cannot believe I get to live here (sorry, Midwest, but you knew what this was…). 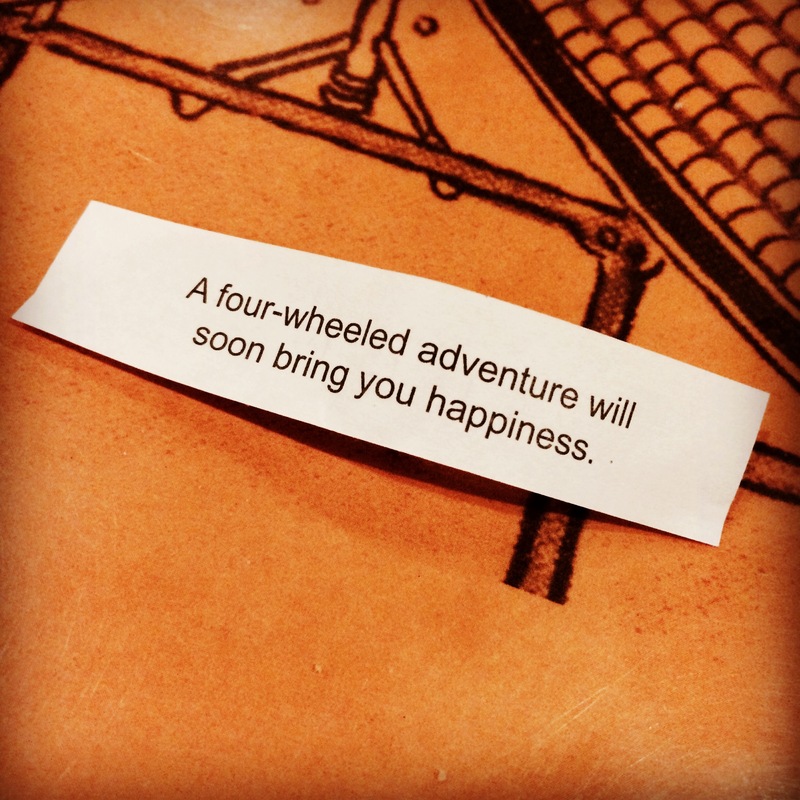 The third is more of a consequence of the second than a separate life event, but I will be embarking on a major road trip in a month and seeing parts of the country I have never seen before. So you will certainly read my experiences on this epic road trip and all that comes out of that. I am very excited about all that is to come, hopefully you will be excited to read about it. Taking sick days is something I am not accustom to doing. Even as a kid, I rarely missed school due to illness. I never asked if I could miss school, never tried to trick my parents into believing I was sick. If I missed school because I was sick, I was likely sick enough that the school would not allow me to come in. When you are younger, getting sick usually means that another kid in your class was sick and it was your turn. As you get older, I find that getting sick is usually a sign that you need to slow down. Whatever you are doing is not working. Stress, lack of sleep, a general sense of not slowing down. These are the circumstances in which I usually find myself getting sick. There is no great solution to this issue. I can work less, but then money becomes an issue increasing my stress levels. I can work more, but there are just not enough hours in the week. In the world in which we live, not the world, the society in which we live, people seem to run themselves into the ground until their bodies start literally and physically rejecting their lifestyle. A few days later, we recuperate and start right back where we left off. How long can we sustain this? When is there a break coming? At what point will there be time to just take a breath and let our bodies rest? I have no answer for this. I don’t know if in this country anyone has a great answer for this. I am starting to wonder if this is the American Dream. It may be time for a new one. Amy Poehler’s Yes Please is as amazing as you would expect. It is in the same vein as Bossypants by Tina Fey and Is Everyone Hanging Out Without Me? (and Other Concerns) by Mindy Kaling, two books that I absolutely loved, but it is more honest and vulnerable. She talks about everything you really want to hear, what it was like backstage at SNL, behind the scenes stories about Parks and Recreation, and her version of how her and Tina Fey became best friends. She also talks about some more painful times in her life, like her divorce from Will Arnett. She is not afraid to get deeply personal and expose every dark area in her life, but even while she is letting you see all the skeletons in her closet, it is with humor and grace. I want to repeat some of those stories to you know, but as I am completely opposed to spoiling a book that I am telling you to read, I will refrain. I will tell you, once again, get the audiobook version. Here’s why. Amy Poehler is funnier than you are. She reading the book to you is funnier than you reading the book to you. Moreover, in this particular audiobook, she brings in special guests, like Seth Meyers, Kathleen Turner, and her own parents to read parts of the book. All of whom read the book better than you would. And there is added banter between Amy and Seth that you do not want to miss out on. The book is a fantastic read. If you are in a good place in your own life or a bad one, listening to Amy Poehler tell you about all her ups and downs, career highs and lows, will not only brighten your day, but inspire you to become your best self. 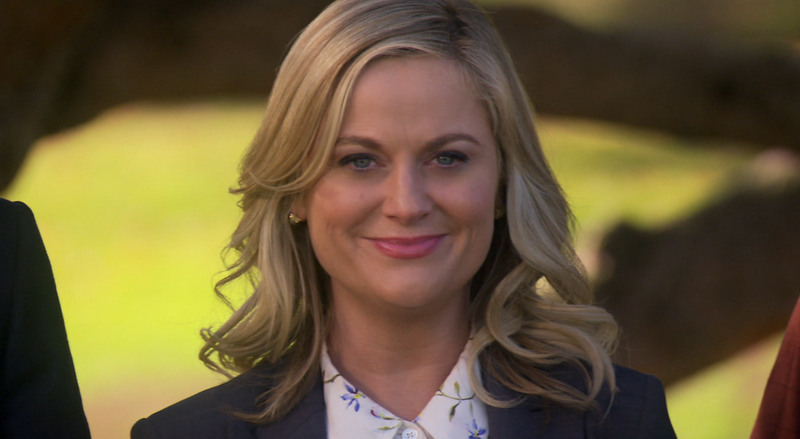 Last night, the series finale of Parks and Recreation aired. A rarity in television finales, we got to see what the long-term future holds for our beloved characters, which was a treat to say the least. The episode featured flashes into the futures of each character (future being relative as this season was already set in 2017) and back to the “present”. After seeing all of the wonderful thing that will come, the episode ended with Leslie and Ben prepared to leave. Ben says, “You ready, babe?” Leslie replies, “Yes. I’m ready.” I feel my life is in a similar state as the show ended. One season is ending and a whole other is beginning. Big changes, big moves, but it feels like things are finally falling into place. Leslie Knope is a woman with big dreams. A woman I can relate to. She has always known she wanted to work in politics. Since the beginning she has had her sights on the White House. We found out last night that she wrote that she wanted to be the Governor of Indiana in her Kindergarten dream journal. When the series began, the possibility of Leslie making it out of Pawnee seemed slim. It seemed like the entire world was fighting against her. By the end of the series, I imagine every fan of the series believe that she can accomplish anything and everything she sets her mind to. I do not have the luxury to see into my own future. I do not know if I will accomplish the major goals I have in my life. I know I am going to try. I know that soon, I will be moving on to the next phase and become closer to my dreams than I ever have been before. Yesterday, I was asked if I was scared. I did not know quite how to respond. Anxious? Yes. Excited? Absolutely. Scared? I don’t really do scared. I don’t make a habit of putting myself in scary situations. Leaving, moving on, going “confidently in the direction of [my] dreams,” these things do not scare me. What would be scary would be not going, not trying, not fighting for the only thing I have ever really wanted in my entire life. Richard Linklater is a director whose name has become synonymous with innovative filmmaking, not in the way that James Cameron or Peter Jackson are with the newest forms of technology, but in a more simplistic way. He is a storyteller in the truest form. His films do not tend to be action packed, they are about people and relationships. M favorite films of his are the Before Sunrise trilogy which also includes Before Sunset and Before Midnight. Also starring Ethan Hawke, these films tell the story of a young American man and a young French woman who meet on a train traveling to Vienna. Each film takes place over the course of a day or two and follows the two in 1995, 2004, and 2013. Each was filmed 9 years after the last and is a more beautiful story than the last. 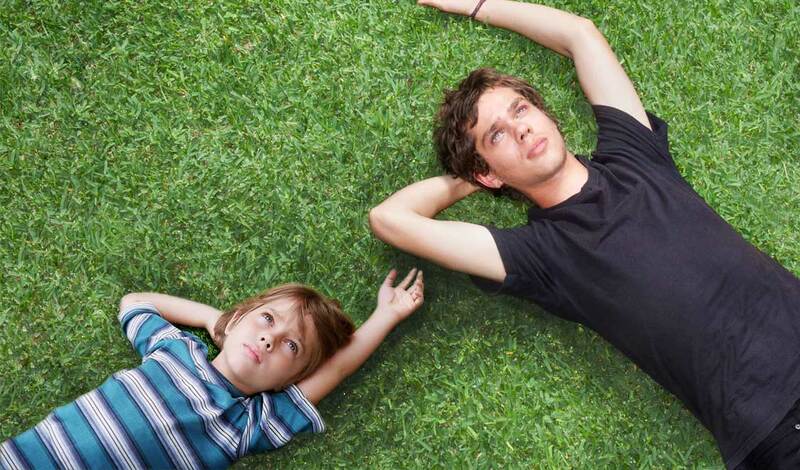 Boyhood was filmed over the course of 11 years. The same core cast is seem throughout the film with other characters coming in and out periodically. The film centers around a boy named Mason between the ages of 6 and 18. Not a lot happens throughout the film. There is no major plot. It is the story of this boy’s life in the truest form. It is the story of his family as seen through his eyes. The true feat of this film is watching the children grow up. The use of the same actors for 12 years watching how they change and grow in a way we have never seen before in film. While I was truly impressed by Ellar Coltrane, the young boy (now young man) who played Mason, I think the is the best performance I have ever seen out of Patricia Arquette. She is just lovely as the mother. Watching her handle the raising of her children, her struggles with her romantic life, and subsequently life after her children leave home is really powerful in a way I was not expecting. This film was not only really cool to watch because of the historical filming process, but also because no one can tell you a story like Richard Linklater. He is a true master of basic character development with truth and depth we rarely have the opportunity to see.